Chelsea Guglielmino is a photographer and photo editor from Los Angeles, California. She attended University of the Arts in Philadelphia and graduated with a Bachelor of Fine Arts in Photography. Chelsea currently works as a Senior Picture Desk Editor in Entertainment and as a Contributing Photographer at Getty Images. In her role, one of the tasks she enjoys the most is contributing to the @GettyEntertainment and @GettyFashion Instagram handles creating stories and posts combining video and stills. From alternative photographic processes to papermaking, to bookbinding, to graphic design, to playing piano, Chelsea is happiest when she's able to be creative. 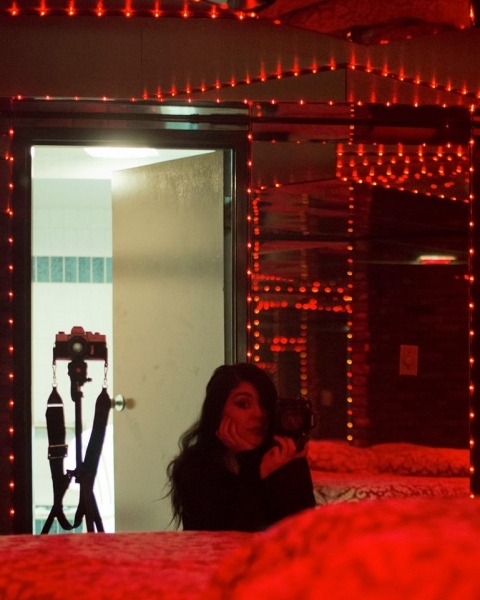 In her photographic work, she is especially passionate about telling LGBTQ stories. Los Angeles Times, The New York Times, The Washington Post, The Atlantic, Vanity Fair, Newsweek, Chicago Tribune, Huffington Post, Los Angeles Magazine, Complex, Teen Vogue, The Hollywood Reporter, Glamour, Variety, Billboard, Entertainment Weekly, The Guardian, SPIN, XXLMAG, InStyle, Us Weekly, People Magazine, E! Online, USA Today, Essence, MTV.com, BET, ELLE, BuzzFeed, Refinery29, Women’s Health Magazine, Pitchfork, New York Post, NY Mag and more. Chelsea Guglielmino is a Senior Photo Editor at Getty Images and a photojournalist and portrait photographer in Los Angeles.